Our usual list of newly released and updated apps below. 9to5Toys also shares 15% off iTunes gift cards (All denominations available) + free shipping to get your downloading started. 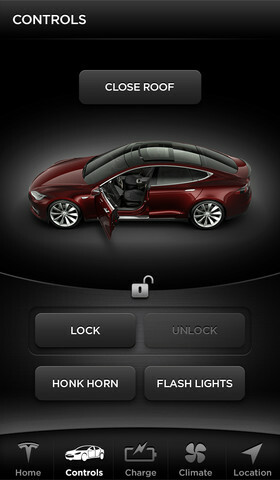 Tesla Model S: Users over on the Tesla forums noticed last night that the official Tesla Model S iPhone app has now made its way onto the App Store, at least in the US. The app will let Tesla Model S owners check, stop and start charging progress in real time, turn on heating and cooling, locate their vehicle, lock and unlock the car, and more. Tweetbot for Twitter (iPhone) version 2.7: One of the more popular Twitter iOS clients gets an update today that adds the ability to open links in Chrome and 1Password, as well as support for inline images from Vine and Flickr and a number of other new features. ★ Get Push Notifications for everything happening on your blog. ★ View, moderate, and reply to Comments from one screen – independent of blog. ★ View comment threads and easily access the original post. ★ Know about new Notifications instantly regardless of where you are in the app. ★ Set Push Notification settings for each notification type, and select which blogs you want to receive notifications on in the Settings panel. ★ WordPress.com blogs: get notifications about Likes, Reblogs, Follows, and Badges/Stats Highlights. Logged in users can now sync their reading progress across devices!